Scenic RoutesIn Scenic Routes, Mike D’Angelo looks at key scenes, explaining how they work and what they mean. In Scenic Routes, Mike D’Angelo looks at key movie scenes, explaining how they work and what they mean. Kenneth Lonergan’s Margaret confounded a lot of people upon its initial release a year ago, including the vast majority of the critics who reviewed it. Reading those reviews, however, doesn’t give the impression of something difficult or challenging or revolutionary. The tricky thing about radical innovation is that it can look, at a glance, like clumsiness or even incompetence: By definition, it involves breaking some kind of well-established and deeply internalized “rule,” and perceiving that as a mistake is a perfectly natural response. 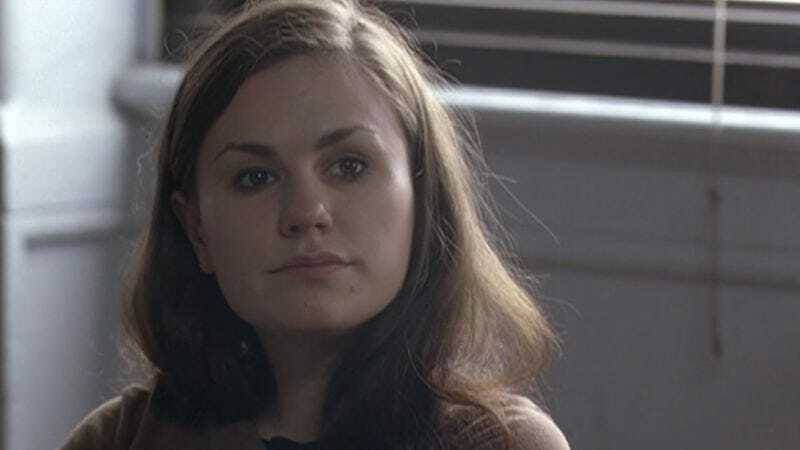 Margaret’s particular innovation was to establish a conventional dramatic scenario—a young girl (Anna Paquin) inadvertently causes a fatal bus accident and is consumed by guilt—and then insist upon monitoring every mundane aspect of the protagonist’s life, including those with no apparent relevance to the plot. The film was routinely dismissed as “a mess” (in part because critics were aware that it had been mired in post-production for six years), when in fact it’s a film that’s fundamentally about life’s messiness. When Lonergan finally began doing interviews following Margaret’s resuscitation, he revealed that he’d based this scene upon an actual classroom discussion that he and Matthew Broderick (his best friend) had witnessed when they were in high school together. He also made it clear that he thinks the argumentative student, played by Jake O’Connor, has no idea what he’s talking about. Personally, I find O’Connor’s interpretation fairly compelling—not in the sense that it’s “what Shakespeare meant” (it clearly isn’t), but just as an alternative way of considering divine caprice. Virtually every religion has some bromide about how we mere mortals can’t possibly understand God’s plan; even if you think that’s a convenient way of sweeping contradictions under the rug, it does stand to reason that a supernatural entity would defy human apprehension. It’s more of a philosophical argument than a literary one, and smacks a bit of what I think of as bong-hit logic, but that doesn’t render it invalid or mean that it isn’t worth raising. Who’s right or wrong doesn’t ultimately matter, though. Arguably the most important aspect of this short scene is who’s participating in it. Paquin is the film’s protagonist, appearing in almost every scene; she plays a prominent role in other classroom interludes, yelling at fellow students about 9/11 and censorship. Lonergan even makes a point of having Broderick call on her first, though numerous other students have raised their hands and she hasn’t. (An accurate detail, in my experience. I learned very early always to raise my hand when I was unprepared, as teachers tend to zero in on kids who seem to be hiding.) But she completely ducks the question, and while there are a few quick reaction shots of her throughout, she never speaks again, nor seems to experience any sort of emotional epiphany in response to what’s said. O’Connor, meanwhile, appears only in this one scene—we’ve never seen him before, never see him again. It’s fair to ask why this already lengthy film devotes several minutes to a debate about Shakespeare between two characters who barely even qualify as minor. I’d be willing to bet that more than one person insisted to Lonergan, over those years of editing, that he should cut this scene and get back to the damn story. Thing is, this scene is the damn story. Margaret is essentially a coming-of-age epic about someone slowly discovering that she’s not the center of the world, which is perhaps the most difficult and least acknowledged lesson we all learn over the course of our lives. (Many people, sadly, never learn it). Lonergan employs a general strategy of minimizing Paquin even as he focuses on the minutiae of her day-to-day existence, but this is the most pointed and overt instance—a means of calling our attention to the faceless extras in most movies, each of whom serves as the protagonist of another film we’re not watching. And the substance of the argument, while amusing, doesn’t really matter. It’s just a reminder that your certitude, however impassioned (and however strongly supported by Frenchmen), means absolutely nothing to others, who have their own experiences and will draw their own conclusions. We pay lip service to this idea in school, at least with respect to the humanities, which is why it’s startling when Broderick finally gets fed up and flatly says, “No, David. You’re wrong.” Margaret is about a young person who has to learn the hard way that, “No, world. You’re wrong” isn’t a viable lifestyle choice. Still, as I noted earlier, it’s not as if we see a light bulb appear over Paquin’s head. She continues to behave afterwards as if she alone understands life’s complexities. And I think Lonergan and Broderick made one poor decision in the scene that may have distracted some people from thinking about it more closely. Both times I saw Margaret in the theater, Broderick taking a sip from his orange juice and a bite from his sandwich at the end got a laugh—it’s an action that seems intended to undercut his stature somehow, make him look ridiculous. As it turns out, Broderick suggested to Lonergan that the character constantly be eating and drinking, because the real-life teacher who inspired the scene was hypoglycemic and had a habit of turning to food whenever he was in danger of losing his temper, as a means of calming himself down. This is a case where sticking closely to reality was probably counterproductive, as few people would think of hypoglycemia on their own. I certainly didn’t. It looks like a weak attempt at comedy, and makes it easy to mentally dismiss the scene as a misguided effort to inject some levity into a fundamentally serious movie. (Having Ferris Bueller as a teacher doesn’t help either, though I love Broderick’s performance—especially his little head-dance of skepticism when O’Connor first offers his theory.) What should be a key to understanding instead becomes an apparent symptom of editorial bloat. All the same—and I’m talking to myself here as much as anybody else, as I’m certainly not immune to the tendency—it’s usually foolish to discard a piece of a movie simply because it doesn’t seem to fit. Sure, in some cases it may really be incompetence, or just an inability to see the forest for the trees. But if the filmmaker has a strong track record, consider the possibility that he or she is trying to get the viewer’s attention. The less immediately explicable something is, the better the odds that its primary function is to explain.